Did F77 hit the Pentagon? Eyewitness accounts examined. Examines the apparent contradiction between potographic evidence and eyewitness evidence. DID FLIGHT 77 HIT THE PENTAGON ? or small jet. See the following sites for some of this evidence. not neccessary that the witness should be specific that it was an AA 757. Uncertainty about such detail is completely understandable in such a situation. and is able to give details of where, when and how the quote was sourced. etc which gives good reason to believe that they were there. A certain amount of common sense must be used in interpreting these guidelines. and gives no other details, then this is not an eywitness account. Is it hearsay. Having set out the parameters, I began searching for eyewitness accounts. Here's an example of two which I ruled out. "There's no landing strip on that side of the subway tracks,"' he said. Before he could process that thought, he saw 'a huge mushroom cloud. The lady next to me was in absolute hysterics.'" stripped down to what the witness is actually quoted as saying. I thought, "There's no landing strip on that side of the subway tracks,"
' The lady next to me was in absolute hysterics.'" view a huge black cloud of smoke rose above the road ahead. gaping hole where the airplane had hit it." - "Eyewitness at the Pentagon </gi/dynamic/offsite.htm?site=http://www.humanevents.org/articles/09%2D17%2D01/regnery.html>. and eyewitness evidence, such deductions are not sufficient in this case. We need witnesses who actually saw it hit. This left 9 accounts which claimed to directly witness a collision. military. 'There was a big boom,' he said. 'Everybody was in shock. I turned around to the car behind me and yelled "Did you see that?" This is the quote, unembellished by inserted commentary. The witness does not even describe a plane. Nothing except a big boom. quote any statement he might have made about a plane and a collision? Why was it neccesary to paraphrase everything he described, except the noise? other than this quote. This is not an eyewitness account of the alleged collision. but I will examine them too, because they raise some interesting questions. and in the building the next..."
sourced this quote or how. It's simply posted on the website as a "comment". How was it sourced? An unsolicited email? A phone call? Hearsay? available for questioning. No details of the method of communication. and not available for questioning is not an eywitness account. It is hearsay. There is no way to verify how this quote originated. if you want to check the similarity with that of a small jet aircraft. the Pentagon. This provides no evidence that it was F77. heat-seeking missile was locked onto its target and staying dead on course.'" and the plane. Here is the quote,unembellished. seeking missile was locked onto its target and staying dead on course.'" to this description, he would not possibly have had time to identify it. about seeing the alleged collsion. attack? If there is another explosion, we're toast.'" At that point, he sped away to the office." witnessed the crash and doen't give any interview apart from this? references to him in his role as a multimedia editor for USA today.com. but was unable to get the video to work, so I was unable to assess it. to large passenger jet hitting the Pentagon wall. down either forward or backwards,' he said." was the section quoted above. coincidence, Mike Walter also happens to work for "USA today." silver plane and those double A's." So in his first interview he clearly states that he did not see the collision. crash as he drove to work. "It was like a Cruise missile with wings," he said. these military units run out with stretchers and set up a triage." coming into National [airport] all the time. But it was so low." and disappear. Then the boom and the flames climbing into the air. stated by commentary, not Walter himself. the explosion and saw the fireball." did not see the collision. What did he say on Sept 12? On Sept 12 6.00am ET, Bryant Gumbel from CBS interviewed Walter. know we spoke earlier, but obviously, some folks are just joining us. Take us through what you saw yesterday morning. was trying to escape the area; people very, very frightened. horizontally or did it, in fact, go on its wing as--as it impacted the building? turned at an angle. I've heard some people say that's what it did. plane was dead. It was completely eviscerated. the Pentagon.' It was--it was total chaos. flying into the air, and--and just chaos on the road. This is why eyewitnesses must be identifiable and available for questioning. And let's take a closer look at this statement, made to Gumbel. "I was on an elevated area of Highway 27 and I had a very good view. I was stuck in traffic." embankment here for a moment "
around, pivoted and then took a steep dive right into the Pentagon." Keep this in mind as the search continues. times, including his earliest statement, that he did not see the collision. On the one occasion when he changed this, he backed off under questioning.
" said an Associated Press Radio reporter who witnessed the crash. 'There is billowing black smoke.'" America's Morning of Terror </gi/dynamic/offsite.htm?site=http://www.channelonenews.com/articles/terrorism/wrapup/>. Yet another media worker who (allegedly) witnessed it. Extraordinary! comment attributed to AP radio reporter Dave Winslow. an American Airlines jet that had gone down. it was a AA jet? Did he mention it off the record to colleagues in the office? didn't see hit the Pentagon? Did you see the tail before or after the collision?" "Did you actually see the collision?" etc. other to say than these 19 words? with no elaboration or sourcing. "the tail of a large airliner... It ploughed right into the Pentagon". found any record of any BBC reporters at the scene to interview eyewitnesses. (discounting those press members who were actually witnesses themselves). report does not give a time so we can't be sure who published it first. Winslow actually said more than this, and that the quote has been edited. the collision, surely there must be more to his account than this. possible type of media, for anything to do with Dave Winslow at any time. the quote. The rest were nothing to do with Dave Winslow, the AP reporter. any context except his alleged quote. In any kind of media at any time. AP " with the same result. Has Dave Winslow ever filed a radio report? second hand, and in it's present form is too enigmatic to have much meaning. American Airways 757. "'It added power on its way in,' he said. I found this to be a common practice. suburb. His name is Tim Timmerman. Mr. Timmerman, are you with us right now? TIM TIMMERMAN, EYEWITNESS: I sure am. FRANKEN: You are a pilot. Tell us what you saw. pull up a little bit more, and then I lost it behind a building. and then the conflagration engulfed everything in flames. It was horrible. FRANKEN: What can you tell us about the plane itself? TIMMERMAN: It was a Boeing 757, American Airlines, no question. FRANKEN: You say that it was a Boeing, and you say it was a 757 or 767? FRANKEN: American Airlines, one of the new generation of jets. window and looking at a helicopter. It was just right there. a couple of light poles as it was coming in. and blow up into a huge ball of flames. FRANKEN: So there was a fireball that you saw? was quite a tremendous explosion. FRANKEN: What did you see after that? responses was just wonderful. Fire trucks were there quickly. might have gone that way. That's what it appeared like. FRANKEN: This is a five-sided building. as damaged as it could be. It looked like on the helipad, which is on that side. removed, that type of thing? little bit closer -- and at that point, I saw nothing like that. copy map, I found a number of online maps, which in combination are adequate. I will refer to as map 1.
in the context of it's relativity to other directions. First lets work out where Timmerman's apartment is. Airport is, south and slightly east of the Pentagon. and the clear circle around the Pentagon about 650- 700 in most areas. Boulevarde is about 100 yards from the west wall. from these maps, because it would place him well inside the cemetary. Looking at maps 1 and 5, it's difficult to place him closer than about 600 yards. of open ground around the Pentagon, the circle which includes the cemetary. This is supported by this statement. Pentagon, in a corner apartment, so I have quite a panorama. worked out his probable distance from the Pentagon, lets work out his direction. We were given two clues. a helicopter. It was just right there. (McPherson Drive) to the left to get the orientation to match with map 5.
must have gone right of the Sheraton and passed over the Navy Annex. the second option, it flew fractionally to the south of the cemetary boundary. Columbia Pike when there was nothing in the area to obstruct his view. in front of him which blocked his view would have to be very close to him. building this tall would have to be 60 - 100 ft wide to have structural integrity. his view of the west wall of the Pentagon. Not such a panorama afer all. obstruction from a nearby apartment? Lets run through the possible locations. from this area. And if we move him to the other side of 395 it gets worse. place him on the west side of 395.
his view dominated by the apartment block. these apartments right in front of me that block out so much of my view. I have a sharply angled view of the west wall past the edge of them." behind the apartments. So how can he explain this exchange? being removed, that type of thing? be a little bit closer -- and at that point, I saw nothing like that. behind the apartments that presumably are still occluding his view. were still there after the crash. as damaged as it could be. It looked like on the helipad, which is on that side." area is so restricted that it's "difficult to tell from this angle." with sharp, quick powers of observation and meticulous attention to detail. the Pentagon, in a corner apartment, so I have quite a panorama." -- and at that point, I saw nothing like that." I've never been to Wasington DC. This analysis was deduced from maps. exactly where he should be looking to see it as it re-emerged. then the conflagration engulfed everything in flames." enough to see the light poles along the eastern edge of Washington Boulevarde. meticulous detail, there is no way that these poles can have been obscured. doesn't say anything to the effect that "All the poles I can see are still standing"
from his view. If they are, then he can't have seen the crash. This is the statement which seals the fate of this account. due east towards the helipad from an area very close to Timmerman's apartment. the Navy Annex to the helipad? The west wall of the pentagon of course. This account is impossible to believe. Timmerman had described cataclysmic damage to the building. said. "And then the conflagration just engulfed everything in flames. Cemetery. Nearby is the building's helicopter landing area. Timmerman's impossible account. Later in the same article it was reported. is 20ft long, then the hole is 50 - 80 ft wide. although this chose to paraphrase Timmerman, rather quote him directly. crash was quickly co-opted into the official mythology. it was controlled and sort of straight. That was my impression,' he said. explosion of fire billowing through those two windows.'" in this form, it is totally impossible to believe that McGraw saw a 757.
what kind of plane McGraw thinks he saw. of Washington) and not posted till Sept 28.
other cars near me.Almost a collective gasp it seemed." and then gasp in unison at a volume louder than a 757? not contain any redeeming qualities to offset it's retrospective nature.
' she said. 'Everybody was just starting to go crazy. I was petrified.'" military jet, a helicopter or a cruise missile? 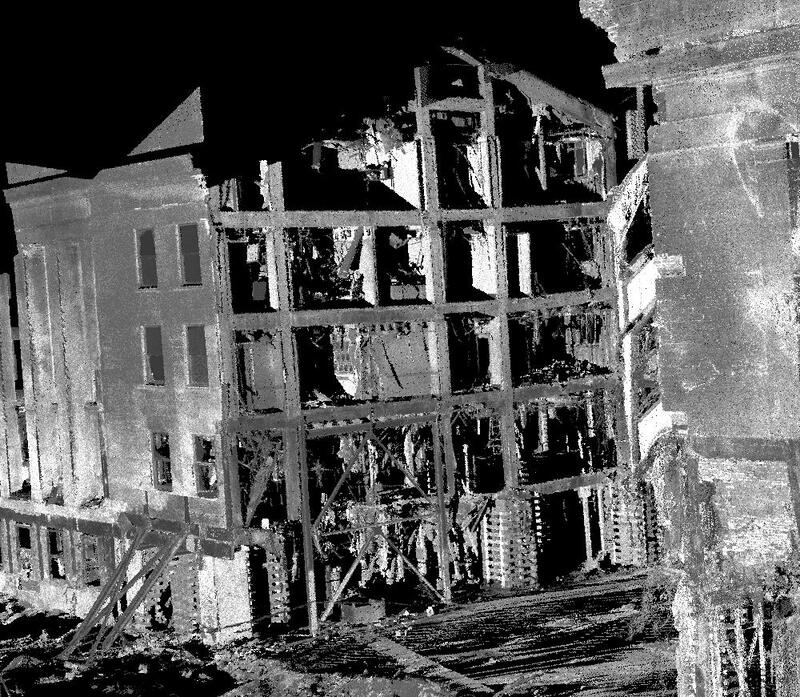 what Thompson claims to have seen was an indentation and an explosion. and collide with the wall. but the LA times quote was the only reference to her anywhere. The final witness of the 19 on the Urban legends site. later, as I was looking down at my desk, the plane caught my eye. the west wall of the Pentagon exploding into a giant orange fireball. Then black smoke. Then white smoke." develop preconceptions about what people could or could not have seen. Anderson's account doesn't come anywhere near meeting verifiable standards. but lets say it's 1000 yards from the Pentagon, like Carla Thompson's office. An aircraft flying at 400 mph, will cover that distance in about 5 seconds. mostly say that he didn't see the collison. The anonymous testimony of "KM"
So that testimony wouldn't contribute anything, even if it was admissible. impression of having witnessed the collision. dubious witnesses just happen to be media figures. there is more conclusive evidence to be found elsewhere. when the American Airlines jet roared overhead from the southwest. pad just in front of the Pentagon and essentially bouncing into it. It "landed there and the momentum took it into the Pentagon,"
Washington said. "There was a very, very brief delay and then it exploded." beyond credibility, and this one has painted some of them in very big letters. enough to see, waits a respectful moment before spontaneously exploding. from the time the plane hit the ground would have lasted 0.21 of a second. through the wall, there was "a very,very brief delay " before it exploded. Pentagon. We thought it had been waved off and then it hit the building." impact, and then seen some of the explosion rising above the buiding. because the search always lists the results by the most recent document first. All of the Sept 12 versions of this report gave Liebner's quote, as above. was quite different, as far as Leibner is concerned. Here's the first report. he returned later in the day to do more. incident is described as a "blast". flames, Liebner refused to leave the scene and seek treatment. and he's in the building and he is working." witnessed has suddenly changed from a "blast" to "saw the aircraft hit." and remains so for the other 10 reports.The reference to Clarke disappears. and fourth reports? There's no evidence for this. this sound like an invitation to interview him? So I found the original transcript of Clarke's media briefing. Federal news Service Sept 11 2001. Q Torie, just -- excuse me. word "hit". And she simply describes Leibner as having seen "what happened." indication where this came from. general word that was going around was that it had been a bomb. who's eyewitness account corroborates the official story. Not only were the Leibner references twisted, but so were Clarke's. was not yet aware of what the official story was concerning the incident. manufactured that it had been an American Airlines jet. the plane hit the Pentagon. She said: "Nothing prepared me for what I saw this morning. was laid before my astonished eyes. "I was just five blocks away as Armageddon came to America. of burning filled the air, panic spread throughout the streets. "People ran in all directions - they didn't know where or why. "We thought we did but it was impossible to take in. to my nearby hotel and turn on the TV in my room to find out the enormity of the calamity. doesn't say this. Did she actually see a passenger jet hit the Pentagon? of the event which Adams assumes to have taken place. And she admits that she didn't even go to the scene, to check anything directly. with her own eyes, a passenger jet fly into the wall of the building. An exhaustive search revealed no other matches for Anna Adams. So where did the SMH pick this quote up from? Directly from CNN? dated Sept 11. How directly? This is the press association report. dropped the reference to CNN. The quote is accurate in essence, although the wording has been changed. But she didn't say anything about seeing a plane crash into the pentagon. coming in too fast and too low - and then the fire. Check the audio for yourself. us, for about 10 seconds," he said. "It was like watching a train wreck. we were seeing, and to process it. had happened in New York -- part of a coordinated attack. "The Plain Dealer" which quoted Dobbs, thus on Sept 12. "I saw it come right over the Navy annex at a slow angle,"
then we all started running." my search showed that Dobbs did not say what the "The "Plain Dealer"
was actually quoted by the Scripps Howard news service, on Sept 11. "It seemed to be almost coming in in slow motion," he said later. "I didn't actually feel it hit, but I saw it and then we all started running. They evacuated everybody around us." of the media policy of never letting accuracy get in the way of a juicy quote. 11 quote tells us almost nothing. The Sept 13 quote is a little more explicit. genuine, a closer examination shows that it only further confuses the question. witness didn't feel, didn't hear, and (perhaps) didn't see. No other matches were found for Mike Dobbs. on her way to work. thinking 'This can't really be happening - I can't be seeing this'. there was a massive explosion and the sound of crumbling brick and metal. acceptable standards of verification and clarity to warrant further investigation. there is no indication either way. a 757, a DC10, an F16 or a cruise missile. have personally witnessed. The Navy Times Sept 11.
govt. wrongdoing in relation to it. 800. Unfortunately it does not cite an author's name. TWA 800 Case Files is not the representative of a particular organization. is not factually known about TWA Flight 800.
few hundred yards away would be described as "gliding almost noiselessly"
jumped into his police cruiser and headed to the area. He said he heard the plane "power-up" just before it struck the Pentagon. seconds maximum, followed by such a shocking and dramatic aftermath. "The Pentagon's first heroes in a day of heroes." hears an explosion -- and runs toward it? This is not to deny that many people acted heroically during this event. gives no indication of what sort of plane it was. a spin put on it by a journalist. his account quote goes on to say. does not tell us whether this exchange took place by email or voice. at all, if it were not for the fact that he also provided photos. jet crashed into the Pentagon. Lets have a look at them. or whether it's just that people have stopped to get out and have a look. know what else might turn up, so it's always worth noting these details. was one which made me not so sure. left shortly after the picture were taken in fear of further attacks. The message is not dated. But he is even more specific about the plane. able to determine whether Riskus is making this identification retrospectively. critical thrash comment were typed by the same person. about 100 ft in front of me. Debri landed on my car. It's undated. And with that message the Riskus account unravels. given the nature of the debate. But the deciding factor is the claim that debris landed on his car. there is no sign of even a scrap of any other debris within at least 50 yards. exhaustive and meticulous. It's unlikely that anything significant was missed. that F77 hit the Pentagon, unless my search has missed something very significant. one of these contradicted the official story. of them were media workers. have performed a brilliant feat of illusion here. But what of the media? Were they in on it as well? regardless of accuracy or journalistic integrity. Pentagon was caused by a suicide plunge from a large passenger jet. bomb report at the State Department. itself evidence that the event simply didn't take place. At this stage it's relevant to examine the alleged witnesses collectively. to have seen from the various vantage points around the Pentagon? Hotel, and the high rise area of Arlington. part of the cemetary would have experienced a plane fly over, frighteningly low. those on the west side would have had a marginal chance of seeing the collision. north-western corner, then their experience would have been less dramatic. important and reliable witnesses. It shows it that the reports are highly selective. down, according the McGraw account? The media love this kind of interview. of thing of too. What about people who were narrowly missed by falling poles? reports at the Pentagon is one of a scripted event. perhaps a drone military jet. jet that everyone was seeing in the area at the time? Did it just vanish? " to F77 hitting the Pentagon. Under close examination, these evaporated. I was at work in Florida when all the 9-11 things started going on and news reports began to come in by phone and somebody turned on a TV and others turned on radios. It was still sometime in the morning. I wish I could be more specific about times and details but I can't because at the time, it didn't occur to me this would be so very important. However, a news broadcast that I distinctly heard come across the radio, with a live interview of a US military official said that one of the planes (I don't know if it was the one that supposedly hit the Pentagon or the one that went down in Philadelphia) had been SHOT DOWN by US Military because it wouldn't answer the radio. Now, this was a very plain interview with this guy. He was making the statements himself. I was stunned that US military could or would shoot down an American craft with American citizens on it and that is what he was saying. An argument in the office ensued about this with other people taking the position that "anything that protects the US is necessary," etc. and my arguing the opposite, so I was not the only person who heard this interview. Other people have told me they heard a reporter on other broadcasts in different locations quote the same official at some other time. Again, I'm sorry for the vague details but I assume if somebody tries to run this down they can find it. I never saw or heard this official again or any reference to him again or any reference to the American plane being shot down again other than that one time. Now why is that? If it's not on TV, the general public won't believe it. Those who control broadcasting control the country. Get it? The plane at the Pentagon felled FOUR lamp posts. Measure the disatances between them. A cruise missile or anythg else much smaller than a B757 could not possibly have done the same. Winslow exists, I will willingly retract the statement,"
*** Should try harder before wasting our time. .. AP seem to know who he is. description of the damage. This isn't possible." *** Yes it is. No problem. There are plenty photos taken from James House to be found all over the ww.web, e.g. by Tom Horan. Look also at the aerial view on MapQuest. anything until it was directly above. Totally impossible if it was a 757." **** Not at all. It depends where you are. Consider the speed of sound. If a plane trevels faster than sound it will pass you before the sound does. If a plane travels directly towards you at perhaps two thirds of the speed of sound, you will have next to no time to be warned by hearing it, especially when it approaches from behind trees and buildings. Have you bothered to confront any of the witnesses directly? dubious witnesses just happen to be media figures." *** Rubbish. Nothing suspicious about it, in view of the usual nature of business in the vicinity. Who else would you expect to be sending in reports from that side of Washington? nearby hotel and turn on the TV in my room to find out the enormity of the calamity." was really happening? If so, why? " Answer: Very stupid! Anybody near to the building was thought to be in mortal danger. At one point, because of a false alarm, even the emergency services were withdrawn. N.B. Mark Bright said he "saw the plane at the Navy Annex area," not that he was watching from that area. He was actually to the north of the event, nearer to the Mall entrance. Question: " -- What sort of person hears an explosion -- and runs toward it? " Answer: Somebody trying to do his doing his job perhaps? "soft" military coup we could hardly expect the passengers to be allowed to live by the putchists. It is significant in the entire 9-11 operation that no one intimately involved in the action lived to tell what really happened, quite unlike most great tragedies. look at the image... i don't think so. why no marks on the wall? ok... but it's inside, and not outside. but no marks... perhaps a 1945 hightech stone?